If you are like me I like to take the weekends off from cleaning so by Monday our living room and kitchen could use a quick clean up. So that is the task for today. 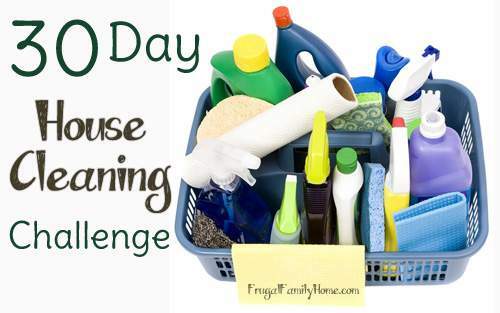 If you haven’t been joining in on these cleaning challenges, today is a great day to start. 🙂 I’m following along with Crystal from Money Saving Mom using this list. Just jump right in and join us.